A classic combination simplified! The folks at Spilt Nutrition are making it easy to get that much loved dynamic duo of childhood lunches – peanut butter and jelly – in a single serving snack pack! For the on-the-go TrailblazerGirl, pop one of these snack packs in your pocket or backpack, and you’re set with a satisfying quick meal of balanced proteins and carbohydrates. They’ve paired the time-honored peanut butter with blueberry spread or grape jelly. And for something a little different, they have almond butter with raspberry or strawberry spreads. As the name implies, the ultra portable pack is split – one side has the nut butter and the other side has the fruit spread. They are super easy to eat directly out of the pack or spread on your favorite crackers or bread, especially knowing that the quality ingredients are non-GMO certified and gluten-free. Each pack gives you sustained energy with 170 calories and 5-6 grams of protein. 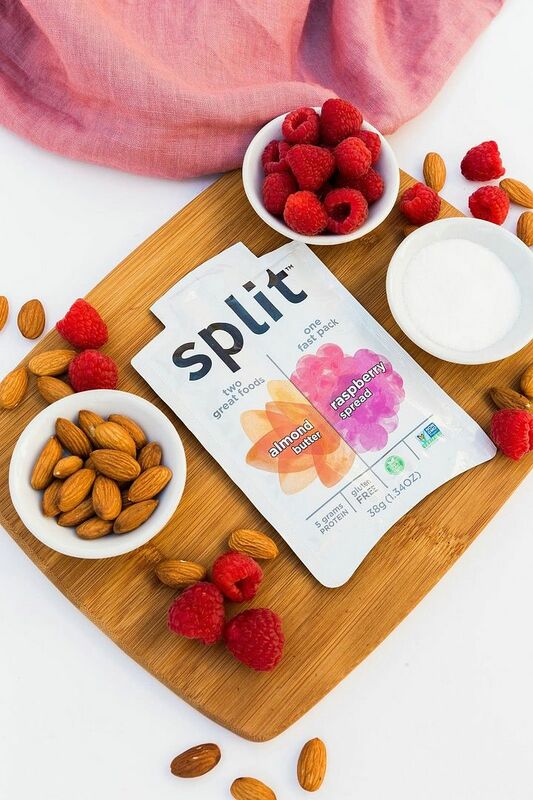 For a fast, delicious, healthy snack, Split Nutrition has you covered!